Denis Buckley: "We have a squad of players who are hugely ambitious about what we can achieve." 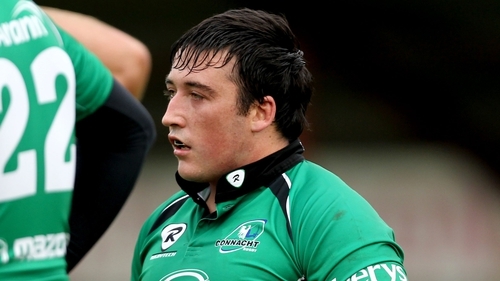 Denis Buckley has signed a two-year contract extension that will keep him at Connacht until 2021. The Roscommon prop has made over 150 appearances for the Westereners since making his debut as an Academy player in 2011. "Denis is a highly experienced prop who will be an important part of our plans in the years ahead," said head coach Andy friend. "He is another one of our homegrown players and it's great to see him extend his time at the Sportsground." Buckley himself aired his delight at committing to the province. "I'm proud of my involvement with Connacht and I am delighted to have signed a contract extension for a further two seasons," he said. "We have a squad of players who are hugely ambitious about what we can achieve at Connacht and I look forward to playing my part in those plans. "I am fortunate to have played as a professional rugby player with my home province and I am grateful to everyone who has supported me on and off the field over the past few years."